We are located in the middle of downtown Sisters, at the foot of the “Three Sisters Mountains” in the high desert of Central Oregon. 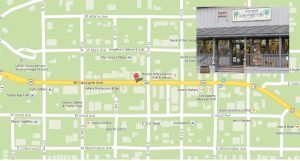 We are about 20 miles northwest of Bend, Oregon and just over 100 miles from the towns of Salem, Albany and Eugene, Oregon. 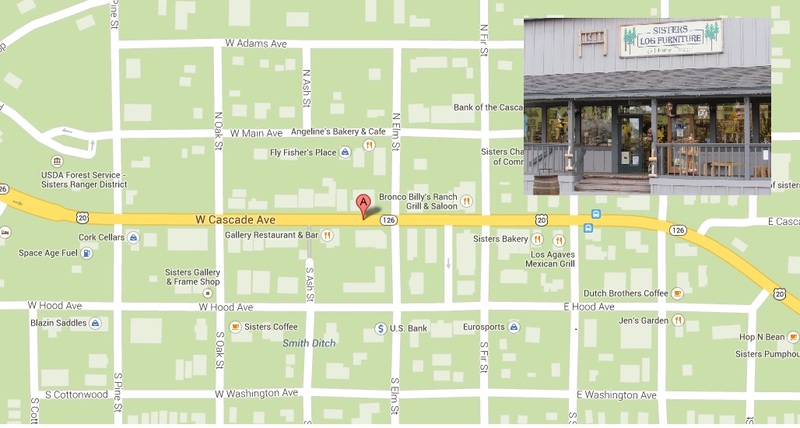 We are located at 121 W. Cascade Ave. Cascade Avenue is Highway 20 and runs right through the heart of downtown Sisters. 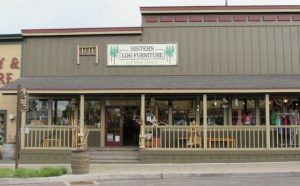 We are open 7 days a week from 10:00am to 5:00pm.